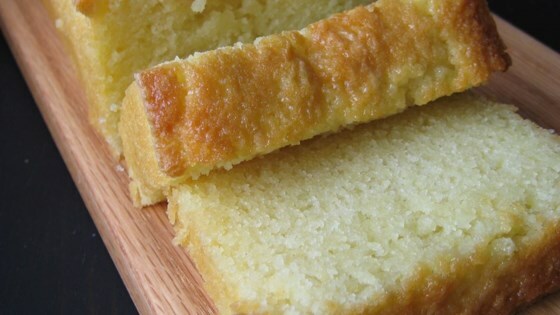 "A lemon pound cake made with yogurt instead of sour cream. I have used this recipe for a long time and had misplaced it. I went to my daughter and had her give me another copy." Preheat oven to 325 degrees F (165 degrees C). Grease and flour a 10-inch bundt pan. Beat butter and sugar together in a large bowl with an electric mixer until light and fluffy. Beat one egg at a time into the butter mixture; add lemon extract with last egg. Sift together the flour, baking soda and salt. Alternately mix in the flour mixture and the yogurt, starting and ending with the dry ingredients. Beat just until incorporated. Pour batter into prepared pan. Bake in the preheated oven for 60 minutes, or until a toothpick inserted into the center of the cake comes out clean. Allow to cool 10 minutes in the pan, then turn out onto a wire rack and cool completely. Added sour cream instead of yogurt, doubled the lemon extract and glazed with powdered sugar and lemon juice glaze. Everyone said to give it five stars!